THE Islamic State (Isis) is intent on killing the Pope, the Iraqi ambassador to the Holy See has warned the Vatican. Habeeb Al-Sadr, who has been the ambassador since 2010, has advised that one of Isis' goals is to assassinate the Pontiff and warned that the jihadists "don't just threaten", according to Italian newspaper La Nazione. Mr Al-Sadr confirmed he did not have any specific intelligence on an impending attack but said that their "genocide" of Yazidi Christians and destruction of holy Islamic sites was an indication of their intent. 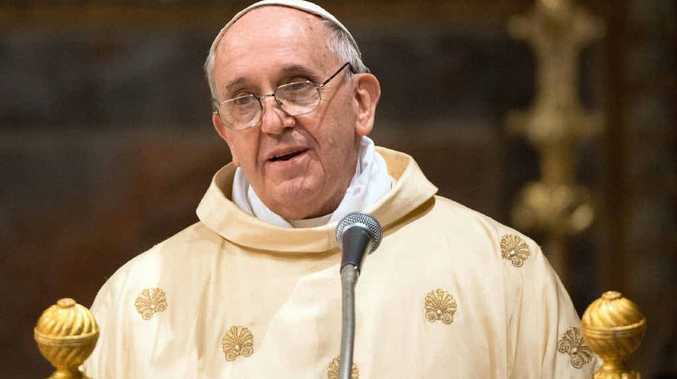 "What has been declared by the self-proclaimed Islamic State is clear - they want to kill the Pope," he told La Nazione on Tuesday, adding: "The threats against the Pope are credible." The threat against Pope Francis, 77, was widely discussed earlier this year after he had endorsed the 'stopping' of Isis and its persecution of 40,000 Christians in northern Iraq. It was reported in August that security in Rome had been heightened after Israeli officials warned that the Pope's censure of Isis had led the militants to target him. The Vatican played down this risk with spokesman Reverend Federico Lombardi SJ telling the Catholic News Agency: "There is nothing serious to this. There is no particular concern in the Vatican. This news has no foundation." The Pontiff is preparing to travel to the majority Muslim nation of Albania on Sunday and will go to Turkey in November. He also expressed a desire to visit Tunisia after meeting the country's President Mohamed Moncef Marzouki at the Vatican on 11 September. However, Father Lombardi has said that security on the trip to Albania will not be stepped up in light of the supposed increased threat and that the Pope will continue to travel "unhindered" in the open-air jeep that he used during his inaugural Mass in St Peter's Square last year. During his journey in Turkey later this year he expected to visit Istanbul and take part in the feast of St Andrew on 30 November, the Catholic News Agency reports. Mr Al-Sadr, however, said an assault against the Pope won't necessarily happen in an Arab or Muslim-majority country, considering that some Isis fighters are from Britain, France and America. He said the militants "have Western passports. Isis could send these fighters to commit a terrorist act in Europe," warning that the Pope should be protected wherever he goes. Australians who could be killed by ADF "took their chances"